The flounder is a unique flatfish that is well known for having both eyes on one side of it’s head as an adult. Many believe the fish is born this way, but they actually are born with eyes on both sides and then as the fish matures one eye migrates so they both end up on the same side. These fish are found on the bottom where their camouflage coloring on one side, flat body, and eyes on one side make them the perfect bottom dweller. 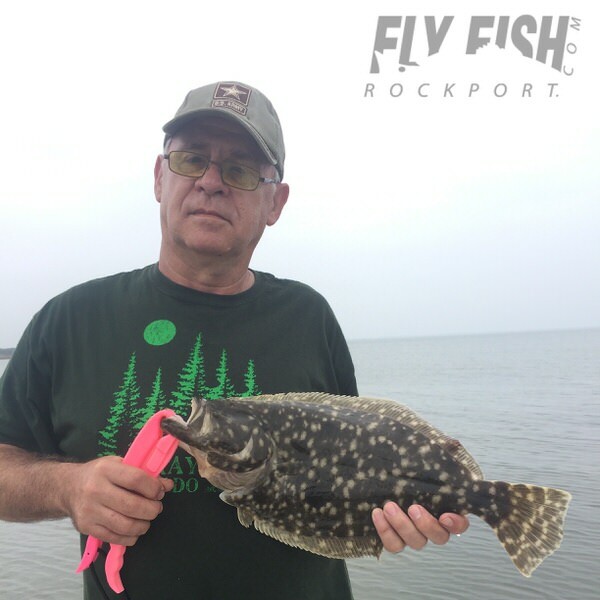 There are many types of flounder around the world, but the Southern Flounder that are caught by Fly Fish Rockport are also known as left eye flounder, as their “up” side or side with both eyes, is always the left side of the fish. An additional unique feature of the Southern Flounder is that they lack a swim bladder, which makes it easy for them to maintain their position on the ocean bottom. 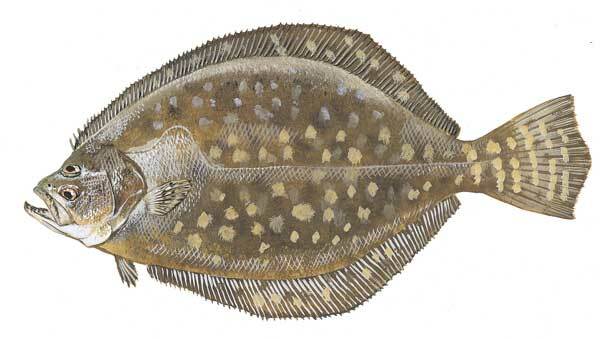 What are other names for a Flounder? Male flounder are smaller than the females and seldom grow to more than 12 inches. The females are larger and will grown up to 23-25 inches. 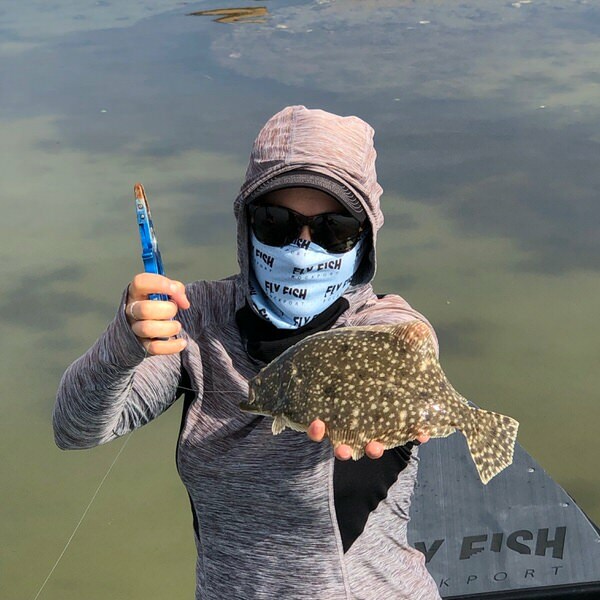 The females will also travel longer distance but are mostly found in the inshore waters so are more accessible to anglers who go out with Fly Fish Rockport. Southern Flounder are usually found west of the Mississippi River, but can occur from North Carolina all the way into the Southern part of Mexico. These fish are bottom dwellers and gravitate towards soft muddy areas of the sea bottom. They do appreciate structure, mouths of bays, channels and bayous as those areas can attract their prey. Flounder are found in a wide range of salinity, water temperatures, and depths. Flounder are ambush predators that use their camouflage coloring and body shape to help conceal their position as they “lay in wait” for their prey. These fish mainly feed on shrimp and small schooling fish. 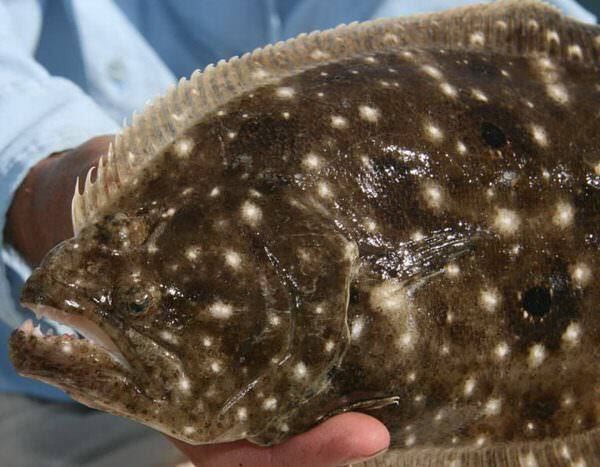 Are Southern Flounder targeted by anglers? Southern Flounder are known as one of the “Big 3” in some Texas Angling circles. They are known as excellent table fare and are taken with fly fishing gear, light tackle, or by gig.